Jumping on the gun-talk bandwagon…in a positive way….it’s cool to see guns you don’t see every day. It’s just fun to look at guns in general, really. 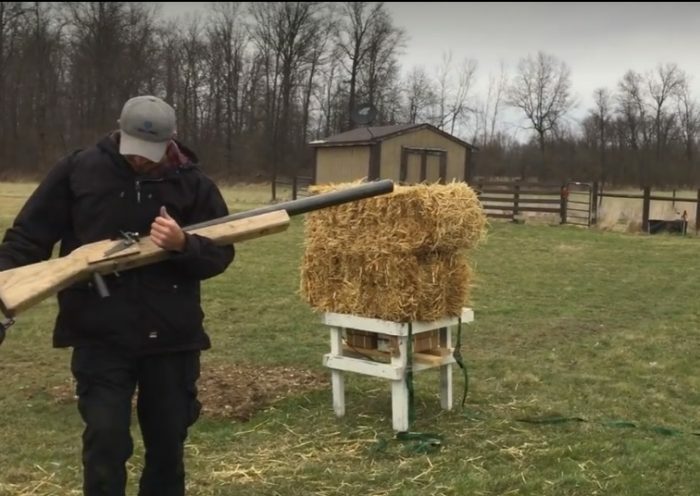 Here’s a 1.5 gauge shotgun that Robert Vogel is shown firing–oh, and it weighs 47 pounds. It’s safe to say there is definitely some kick to this one.